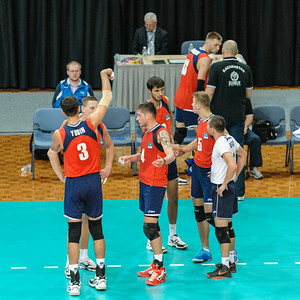 Volunteers sweeping the court during a timeout. 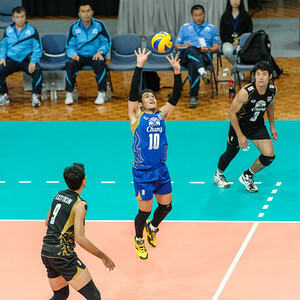 Jump set by Charoensuk (Thailand). 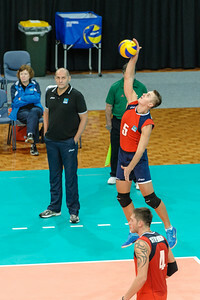 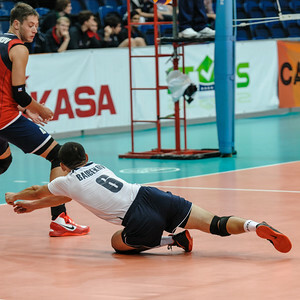 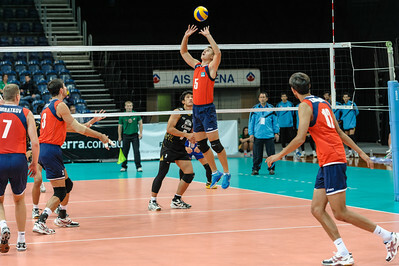 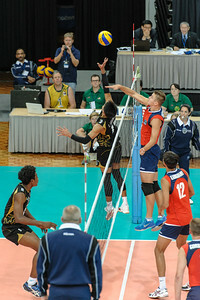 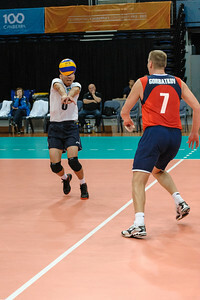 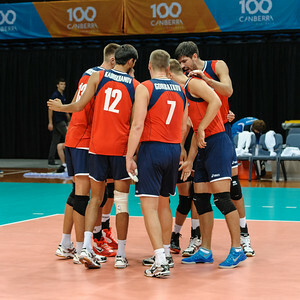 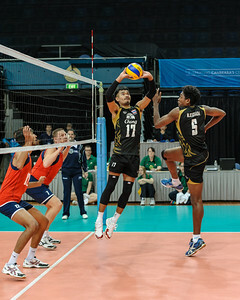 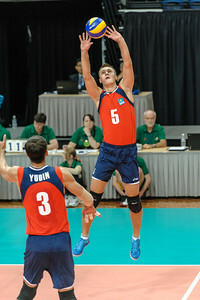 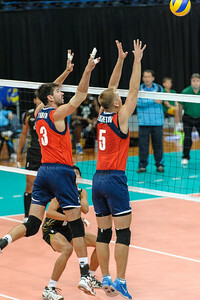 Nilsawai (Thailand) preparing to spike and Kadirkhanov and Gorbatkov (Kazakhstan) preparing to block. 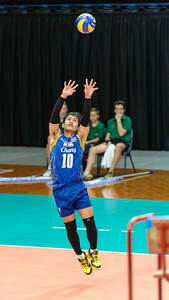 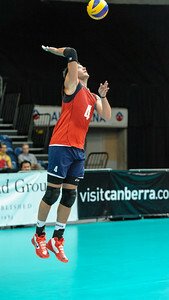 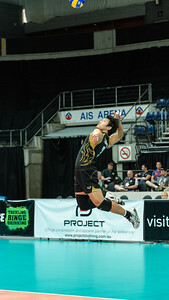 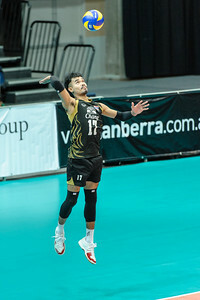 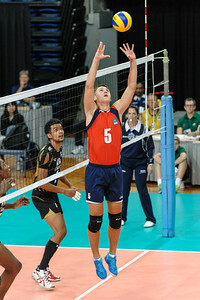 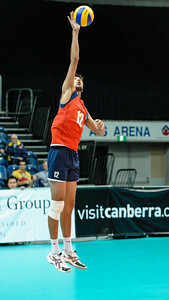 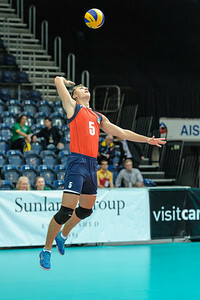 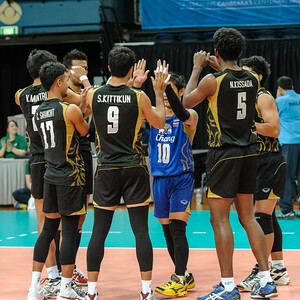 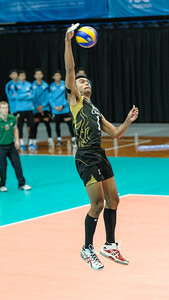 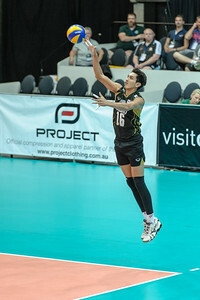 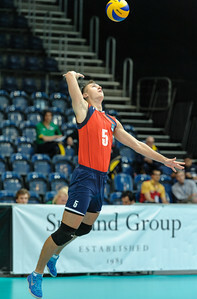 Raksakaew (Thailand) preparing to spike.